Recently, someone asked whether the Aulora Pants with Kodenshi is suitable to be worn by people with high blood pressure (BP). The answer is it depends on the individual and also how high is the blood pressure reading. We know that the Aulora Pants will improve the blood circulation in your body when you wear it. For people with high blood pressure reading, will it push their BP even higher? Firstly, if your BP is very high, you should get yourself checked out by a doctor and if needed, you have to go on medication to bring down your pressure. 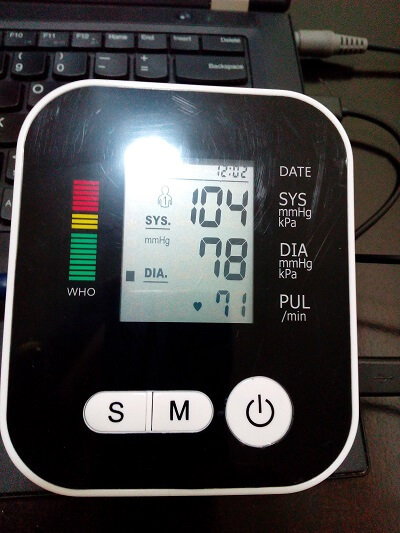 Is your high BP due to your work stress, lifestyle, the food you eat, lack of exercise etc? You really need to take corrective steps to bring down your BP. If you have taken steps to reduce your blood pressure and you want to try the Aulora Pants, yes, you can wear the pants but with a condition. The condition is NOT to wear the Aulora Pants for 24 hours a day at the beginning. Doing so may spike your BP and you may experience some unwanted side effect. What I will suggest is to start wearing the Aulora Pants with only 2 hours per day in the day time. See how you feel and if you have a blood pressure monitor, use it to make sure your BP is not elevated too high. Notice how you feel and if you feel fine, increase your wear duration to 4 hours per day. The idea here is to increase your wear duration gradually and let your body adjust to the improved blood circulation. 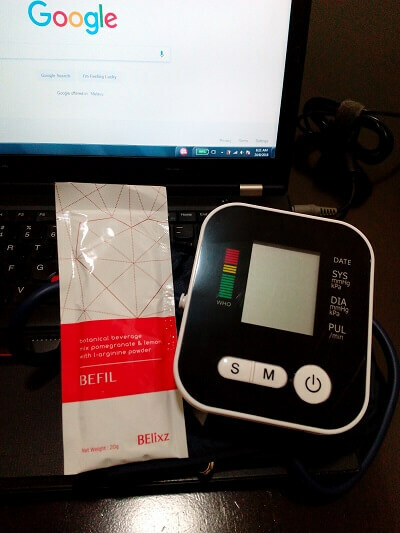 Alternatively, if you have elevated BP and looking for a natural solution to bring your pressure down, you can check out Belixz Befil. Befil is a formulation from the United States created specifically for heart health. The product is from BE International, the brand owner of the Aulora Pants with Kodenshi. You can check out the Befil product review written by my husband on this blog.